A look at where you can find all 24 Egg Effects in Yume Nikki. If you recently picked up Yume Nikki on Steam, you may find yourself wondering where all 24 Egg Effect locations are. 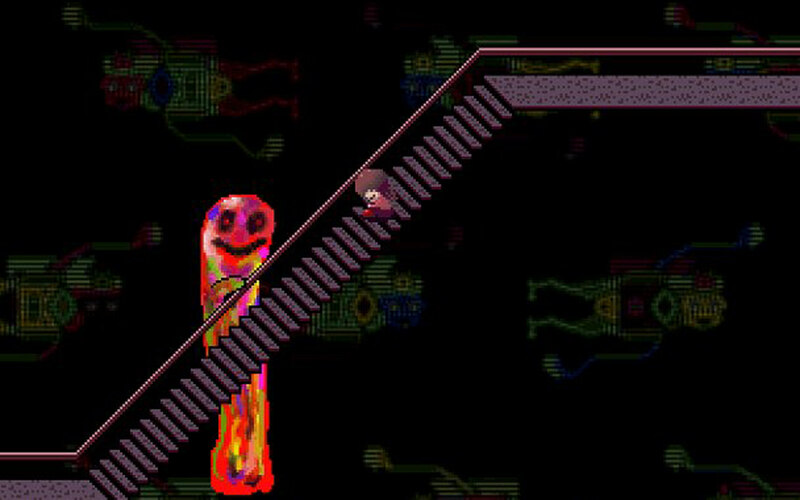 Egg Effects are particularly useful in Yume Nikki, as they allow you to unlock new “abilities” for the game’s protagonist. These abilities do everything from change your costume to give you special new skills (move faster, light up dark rooms, etc). While you won’t find all of the Egg Effects in Yume Nikki to be beneficial, collecting all 24 makes for a fun scavenger hunt. Furthermore, by collecting all 24 Egg Effects in Yume Nikki, you’ll be able to unlock a secret ending. Having trouble finding these elusive Egg Effects? No worries. Below, you’ll find a guide containing all 24 Egg Effect locations in Yume Nikki! Below, we list the locations of all 24 Egg Effects in Yume Nikki. There are 24 different Egg Effects in Yume Nikki. Each one will unlock a special effect, and finding all 24 will unlock a special ending among other secrets. Typically, there are Egg Effects in different worlds, so you’ll need to progress far enough in the game in order to find them all. With that out of the way, here’s where you’ll find all 24 Egg Effects in Yume Nikki. Location: Graffiti World, found on the floor. Egg Effect: Doubles your speed, allowing you to catch speedy characters and escape from monsters. Location: Mural World, find the monster with blonde hair and examine its mouth. Egg Effect: Gives you long, blonde hair. Location: 8-B World, head to a sub-area of the hub and talk to the purple creature in the center of four statues. Egg Effect: Makes you wobble when you walk. 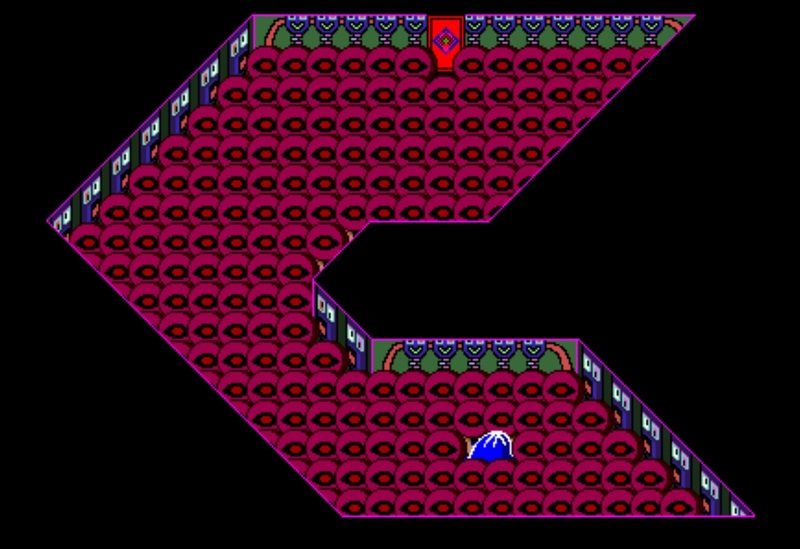 Location: Shield-Folk World, interact with the pink cat-shaped coin. Egg Effect: Adds cat ears to your sprite, lets you move NPCs without having to kill them. Location: 8-Bit World, enter the 8-Bit Basement and locate the room with the demon NPC. Egg Effect: Turns you into a red demon, lets you summon the demon NPC in the 8-Bit Overworld. Location: Windmill World, head to the Docks and on the second screen locate the NPC on the northern path. Egg Effect: Makes your character fat. 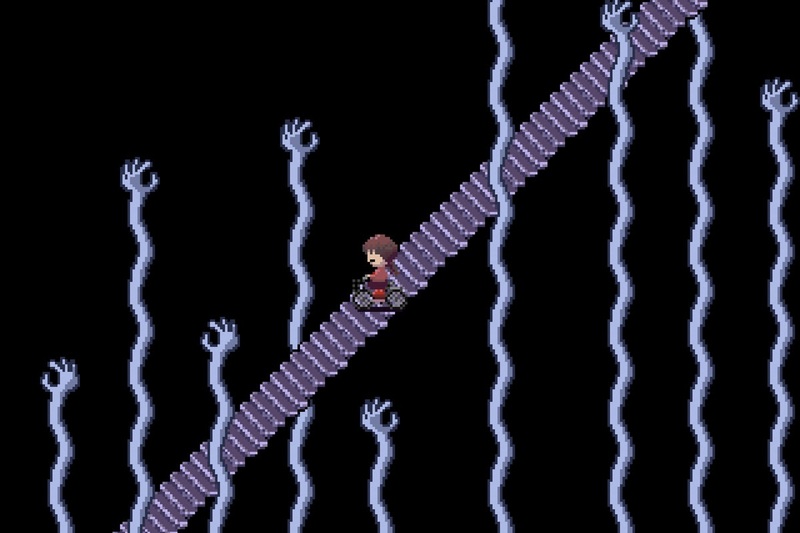 The Flute Egg Effect can be found in the Underground World of Yume Nikki. 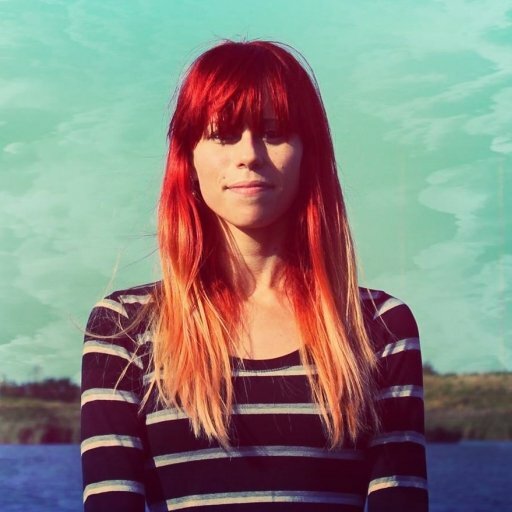 Location: Underground World, enter the Department Store area and find the music room. Egg Effect: Lets you play a variety of short musical pieces. Location: Forest World/Dense Woods, locate the frog NPC in either the Forest World or Dense Woods. Egg Effect: Lets you move through water at normal speed. Location: Block World, can be found on the ground. Egg Effect: Gives your character a hat and scarf, when it snows she’ll transform into a snowman. Location: Dark World, head northeast from the path leading to the Wilderness. Egg Effect: Gives you a sharp knife used to stab NPCs, thereby granting access to certain restricted areas. Location: Lamp World, interact with the NPCs in Lamp World. Egg Effect: Turns your head into a lamp, can be used to light up both Dark World and Wilderness. Location: Mural World, talk to the monster with brown hair. Egg Effect: Gives you long, brown hair. Location: Eyeball World, interact with the stalk with an eye on its open palm. Egg Effect: Replaces your head with a strange hand with an eyeball, can be used to quickly escape to the Nexus. Some Egg Effects are more useful than others in Yume Nikki. Location: Windmill World, enter the Sewers and reach the second screen of the Sewage Processing Plant then talk to the faceless ghost. Egg Effect: Turns your character faceless. Location: Candle World, catch the Dwarf (can use the Bicycle Egg Effect to catch him) and interact with him. Egg Effect: Makes your character tiny, using action button will summon additional tiny versions of yourself. Can be used to head through the Sewer tunnels or to escape the stairs on Mars. Location: Neon World, talk to the parrot. Egg Effect: Turns your character neon. Location: Underground World, talk to the poop-haired mouth monster in the Storage Room. Egg Effect: Gives you poop-shaped hair, can be used to temporarily mark locations with a fly. Location: Guillotine World, use the guillotine outside the bedroom. Egg Effect: Transforms you into a bloody, severed head. Location: Snow World, talk to the frozen ice woman NPC. Egg Effect: Turns you into an ice ghost, can be used to stop snow or douse fires in certain areas. The Stoplight Egg Effect can be found in the Dense Woods of Yume Nikki. Location: Dense Woods, enter the Dense Woods through the Mall or Puddle World then find the bloody corpse and interact with it. Egg Effect: Turns you into a stoplight, can swap between green light and red light for different special effects. Location: Dark World, enter the infinite Wilderness area and interact with the towel. Egg Effect: Wraps your character in a towel. Location: Ghost World, catch the ghost that flees from you (can use the Bicycle Egg Effect to catch him). Egg Effect: Turns your character into a translucent ghost, can be used to avoid beak-faced enemies. Location: Puddle World, can be found on the ground. Egg Effect: Gives your character an umbrella, can be used to stop fires or rains in certain areas. Location: Witch’s Island, find the train car located deep in the Dense Woods, use it to reach the Witch’s Island and talk with the NPC located there. Egg Effect: Can be used to fly from the rooftop of the Department Store. By finding all 24 Egg Effects in Yume Nikki, you’ll be able to unlock secrets including a special ending. While there are many Egg Effects that are essentially useless to you in-game, they’re nevertheless fun to find and play around with. What was the hardest Egg Effect for you to find in Yume Nikki? Let us know down in the comments below! 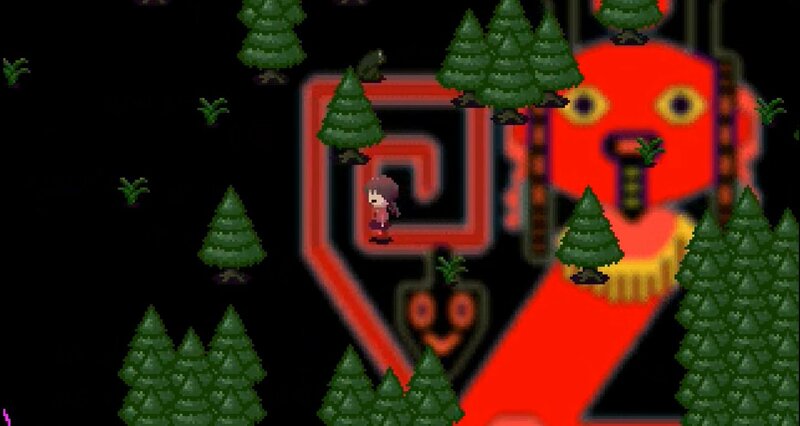 By reading through this guide, you should now know the locations of all 24 Egg Effects in Yume Nikki.